Van Cleef & Arpels turned to my team for help in gathering consumer data while maintaining the value and prestige of the brand name and its products. We created a playful experience that educated the user while they had fun on Style.com and W.
First, we grabbed users attention with a dramatic homepage overlay ad, featuring a the exclusive zip necklace. Our animators had to render the necklace from scratch in order to animate it properly. 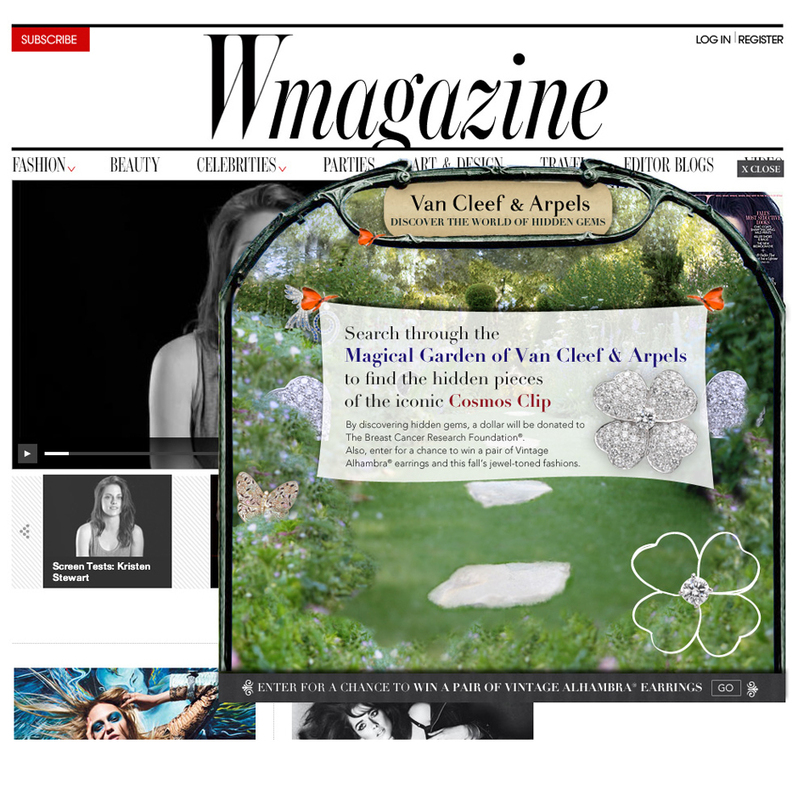 Users were prompted to enter into the world of Van Cleef & Arpels to discover hidden gems in a beautiful garden setting and contribute to a worthwhile cause by doing so. Users were challenged to find missing pieces of a Van Cleef & Arpels piece to complete the design. Once the design was finished, users were encouraged to complete an entry form for a chance to win an exclusive Van Cleef & Arpels prize. In addition, other Van Cleef & Arpels jewels were scattered in the garden setting, educating consumers about numerous pieces throughout the hunt.